The convincing words of writers…the wordless persuasion of design. These are the means by which your company speaks to its customers. Every marketing piece you send should be a catalyst to spur new business prospects, and a bridge to build strong, prosperous relationships. The specialized communication skills needed to include, involve and impel your customers’ calls for highly trained, innately talented artists born with the pragmatic souls of marketing strategists and top salespeople. Horizon’s Publishing stocks a deep creative pool of highly dedicated, professional, independent graphic designers, photographers, food stylists, illustrators, copyeditors, copywriters, and brilliant conceptual minds. A vibrant, broad palette of creative experience and abilities—something most mid-sized agencies can’t match—is always available at Horizon’s. Horizon’s Publishing can work hand-in-hand with your current ad agency or creative staff to pick up the slack; or we can be your ad agency and creative staff. Think of us as your quick-response creative strike team. Last minute project? Call us Friday then enjoy your weekend. With so many qualified, willing creatives to call on—most of whom have loyally worked with us for ten years or more—Horizon’s Publishing can usually turn your assignment into a beautifully designed and written layout in time for Monday’s meeting. Good luck getting a regular ad agency to do that. Our talented writers insightfully translate the soul of your company into concise words that sell, persuade and incentivize, indelibly impacting the right audience with the right brand message. Strategic objectives, research data, and intelligent market analysis is the fuel that stokes a market-minded copywriter’s visionary imagination. They conceptualize that information to kindle your audience’s interest and fan an emotional flame that sets previous ROI charts ablaze while burning brand loyalty into your customers’ hearts. Sadly with so many store-bought graphic design software programs available, too many companies entrust this pivotal step in the creative marketing process to hopeful amateurs instead of genuine professionals. If your marketing materials absolutely have to move the needle and stick to budget, you’ll want to get a quote from Horizon’s Publishing for any design and illustration work you need. Our graphic artists will be an integral part in achieving your goals, offering superior quality, turnaround time, and cost effectiveness while keeping brand presentation consistent across the horizon. 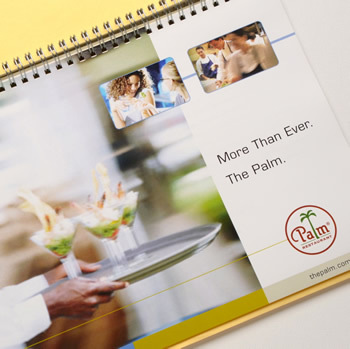 Every picture tells a tale; and every photograph in your marketing inventory must successfully tell your company’s story. In one visually striking, compelling glance your photograph and subject must communicate the values of both your brand and product alike, yet still convey a simple message that connects to ordinary people in the real world. Your photography should be luminous with the power of story because every image that represents your company is a priceless investment. Look to Horizon’s Publishing to provide superior quality photographic artistry, set design, model acquisition, and production direction at the most competitive rates. Now we invite you to browse our portfolio and see the stories our photos so beautifully tell. One note of warning…many of these images will make you hungry!